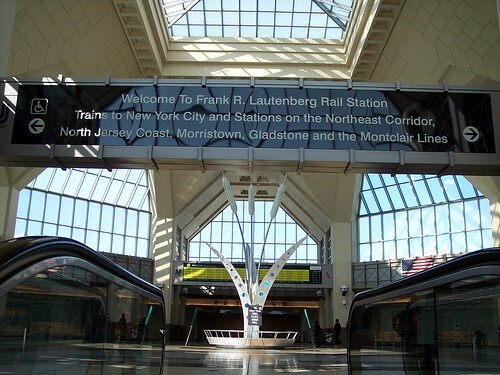 Secaucus Junction is a new station built to provide a connection between the lines that run to Penn Station in New York and those that run north from Hoboken. 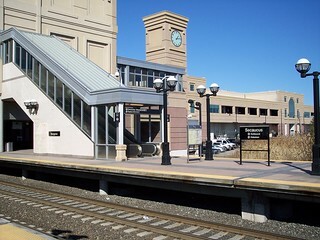 We changed trains here when we took the special football train to the Meadowlands and this was our destination when we rode the Main Line and Port Jervis Branch. 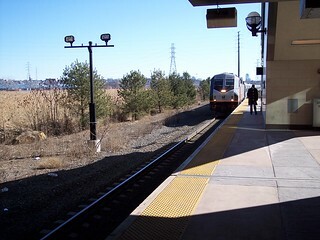 On the left we see the upper level platform from a New York bound train. 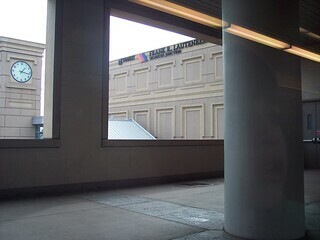 On the right is a view of the station from the lower level platform. 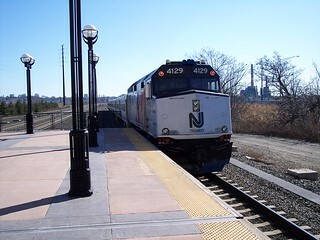 From the lower level, our train from Port Jervis departs for Hoboken and our train for the return trip arrives.